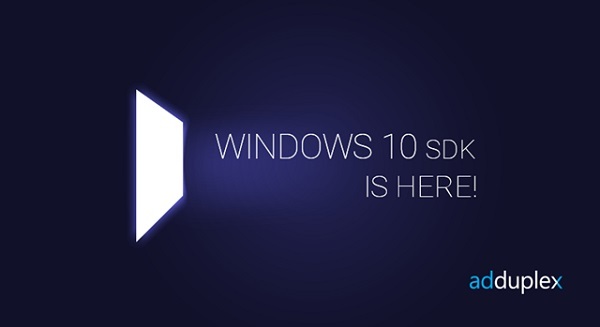 AdDuplex releases Windows 10 SDK. AdDuplex's Windows 10 SDK became available to app developers. It is the first native Windows 10 cross-promotion network and the first ad SDK for Universal Windows Platform apps! New but familiarUp to now AdDuplex had 2 fairly separate sub-networks - one for Windows Phone apps and one for Windows 8.x. With Windows 10 UWP you will be able to build universal apps supporting all sorts of devices, so the boundary that AdDuplex had doesn't make a lot of sense going forward. AdDuplex had 3 choices: start a brand new "sub-network" for Windows 10 apps or continue with one of the existing branches and keep the other one for the "legacy" apps. While starting clean looked attractive, AdDuplex felt that giving developers an established network to promote their apps on is way more important. So that left AdDuplex with 2 choices: move forward based on the Windows Phone subnet or continue with Windows 8. While the timing for Windows 10 version releases suggests the later, everything else was in favor of going forward with the Windows Phone branch. AdDuplex have about 8x more apps on the Windows Phone network than Windows 8, AdDuplex have interstitial support on WP, more streamlined ad formats (we have 7 ad sizes on Windows 8 and most of them are sparsely used), etc. And, to be honest, even Microsoft admits that Store apps never really took off on Windows, even with a much broader user base than that of WP. So AdDuplex built Windows 10 cross-promotion network on top of our Windows Phone foundation. This will give your universal apps a much broader network of potential users once Windows 10 Mobile is released. If you are familiar with AdDuplex client area setting up a Windows 10 app won't be a problem. 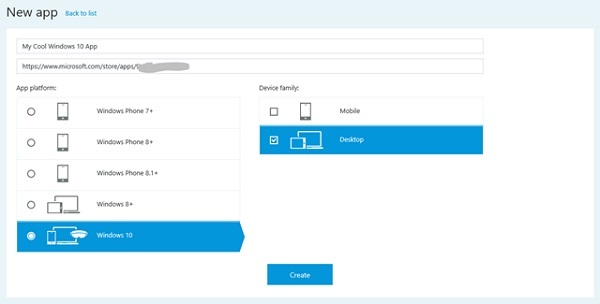 The main difference is that now, in addition to selecting your app's platform, for Windows 10 apps you have to specify supported device families. You will also need to provide a new format Store URL that you can get from Dev Center (App Management –> App identity). Then everything is the same as it is for Windows Phone apps - you can create one or more ad units which are either for banner ads or interstitials. Image formats and specifications are the same as well (768x128 <25kb for banners, 1600x900/900x1600 <256kb for interstitials). As for the code, it's pretty much the same as it was for Windows Phone - just download the SDK from the Visual Studio Gallery and follow the instructions in the Code tab of your app's listing. There could be some issues if you add a "close ad" button in the corner of the ad control. We are working on fixing this and improving overall process for implementing such a button. We recommend that you refrain from implementing it with this version of the SDK.